On a spring evening in 1972, a man climbed up an electricity tower outside Milan intending to place a bomb, but instead fell to his death. Notices in the next day's newspapers announced the botched action of an unnamed "terrorist." It quickly became clear, however, that this revolutionary was one of the most famous men in Europe. Born into a wealthy and distinguished family, Giangiacomo Feltrinelli fought with the partisans against the Nazis, joined the Communist Party, then took over the family's financial empire after the war. In 1954 he founded the house that bears the family name and published the likes of Pasternak, Kerouac, Bellow, and Che Guevara. In the sixties he supported revolutionary movements in Europe and the Americas and befriended Fidel Castro. But in spite of his leftist sympathies, Feltrinelli wasn't proletarian enough to give up his yachts, sports cars, and lavish estates in which he dreamed up his schemes and projects. 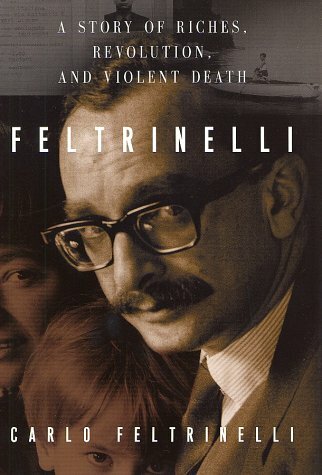 Combining personal memories of his father with a carefully documented history of the period, Carlo Feltrinelli has written an unsparing, provocative, and above all deeply engrossing book.